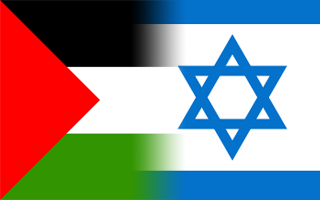 San Francisco (Obama.net)- Ever since the creation of Israel in 1948 as an official state, tension has been high between the Jewish state and its Islamic neighbors. Numerous attacks and wars have raged for decades between Israel and Palestine leaving thousands dead and the possibility of peace too far away. However, attempts at peace have been made countless times. The two Middle Eastern nations have come together to discuss resolutions to their conflicts and nothing concrete has yet to be reached. President Barack Obama has made it one of his personal missions to help the two nations reach peace. Obama has reached out to the leaders of both nations in the past year and a half with successful meetings with both sides. Now, starting on September 2nd of this year, leaders from Israel and Palestine with come together in Washington D.C. to try to work out their problems once and for all. The Secretary of State, Hilary Clinton, says that she believes that all of the issues at hand can be addressed and resolved. She also said that peace could be completely achieved within a year of the talks starting. Israel’s Prime Minister, Benjamin Netanyahu, has said that the terms of the talks are perfectly fine with Israel. Palestine has also said it is fine with all of the conditions except that it wants the moratorium placed on the settlements in the region to be extended. With the hard work and persistence of President Barack Obama, the nations of the Middle East are one giant step closer to finally reaching the peace that has been eluding them for the last 62 years. As Israel, Palestine, and a few other Middle Eastern nations such as Jordan and Egypt to name a few, will come together on September 2nd to begin the talks, the international community can be confident that the day will mark the beginning of positive new future for the region.